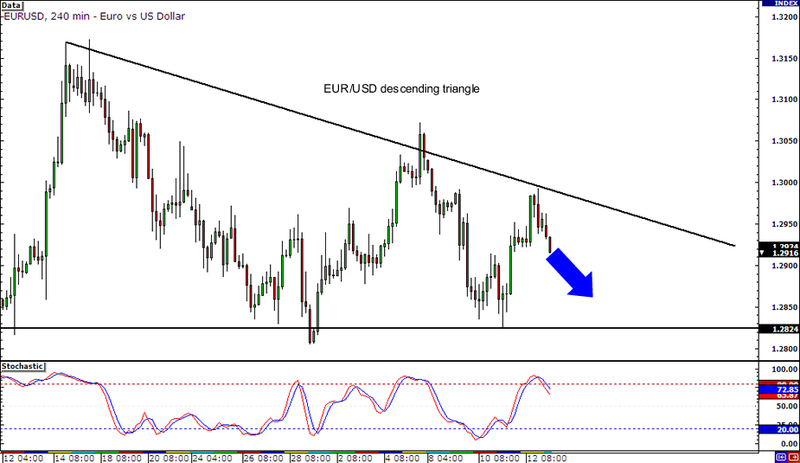 Is EUR/USD headed back towards the 1.2850 area? After finding resistance at that falling trend line and with stochastic pointing downwards, it looks like this pair could be headed much further south. In fact, it seems that the pair is forming one giant descending triangle on its 4-hour time frame. If you think you’re too late to jump in this downward move, watch out for a potential bounce around the 1.2850 minor psychological support and bottom of the triangle instead. 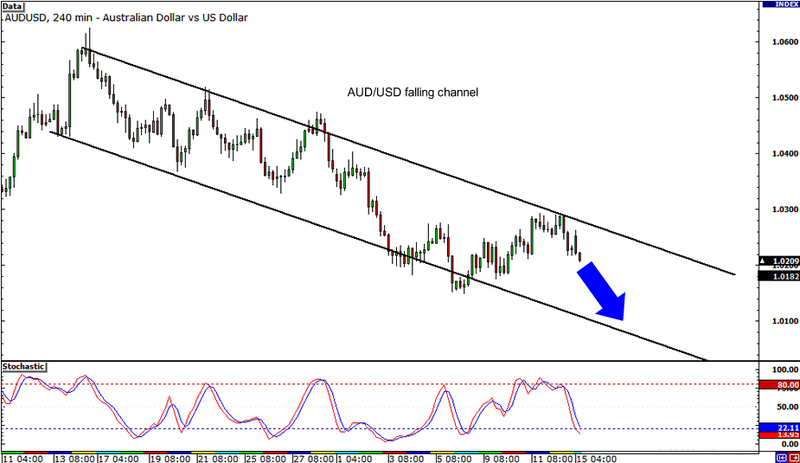 Don’t look now but it seems that AUD/USD is poised to test the 1.0100 major psychological handle! The pair just bounced off the top of the falling channel on its 4-hour chart and it looks like the downtrend is still very much intact for now. However, stochastic is slowly making its way into the oversold territory, suggesting that Aussie bulls might take control pretty soon. Lower highs and higher lows? Why, that’s a symmetrical triangle right there! 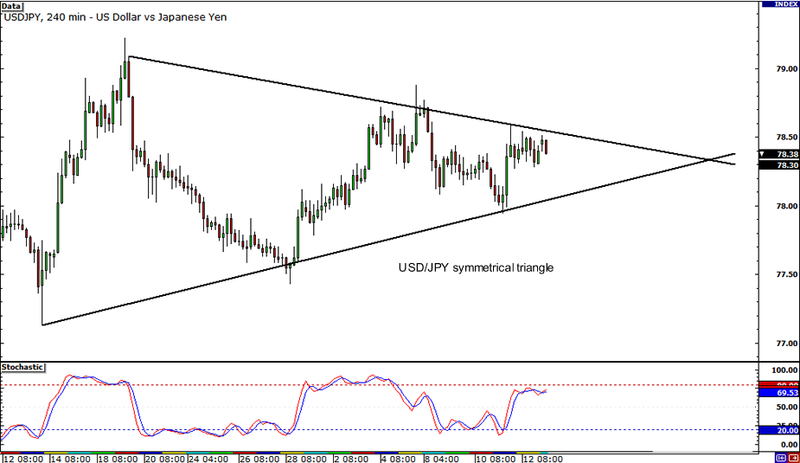 USD/JPY has been stuck inside this triangle for quite some time now and appears ready to break out. The question is: Which way will it go? Stochastic doesn’t seem to be providing any clues at the moment since it’s currently on middle ground. Make sure you check out our lesson on trading breakouts before you pick a side!